If you have found yourself reading this article, you are most likely in the market for an automotive scan tool. Today we are going to help give you a clear view of all the ins and outs about the Launch CRP 123. The Professional Code Reader CRP 123 from Launch Technologies is a handheld device. The scan tool is loaded with features to help you diagnosis your engine. The Launch team have given special attention to this product and brag about the high-quality materials and software put into the CRP 123. This tool is one of the most accurate diagnostic tools on the market today. It is built efficiently with a compact design, large, color touch-screen and a user-friendly interface. You will have the world of automotive diagnostics at your fingertips along with premium code scanner features. 2 Why this honest review? 3.5 Who is it built for? To have a better look at what makes this scan tool different from the rest, take a look at this comparison chart. We know how difficult choosing the right scan tool can be and we are here to make it a little easier for you. With the Launch CRP 123, reading and clearing codes are just a click away and include reading ABS and SRS codes. Our team of experts has tested and reviewed multiple automotive scan tools to give our customers insight into the features and functions. This review is to help you decide for yourself if the Launch CRP 123 is the scan tool that is missing from your workshop. If you are looking for a scan tool that has all 10 OBD2 test mode, plus more additional features, this tool meets your requirements. Today we will dive-in to the feature-rich functions provided with the smart build of the Launch CRP 123. With this convenient tool, the user can expect that collecting and diagnosing vehicle date will be as easy as 1-2-3. First and foremost, with any scan tool, you want to make sure you have the easy-access to read and clear scan DTCs from your dashboard. Additionally, this code reader has the traditional features of an ABS/SRS Code reader along with more functionality. You will be able to use this device similar to a smartphone with ease and efficiency. Customize the settings to fit your language needs, the Launch CRP 123 has multilingual functionality for all users. Ensure you will pass all emission tests with a quick reading from your vehicles I/M readiness. Stream live data from all systems such as transmission, ABS, SRS, and engine. You can pull vehicle information with AutoVIN technology and auto module search with ultra-fast technologies. 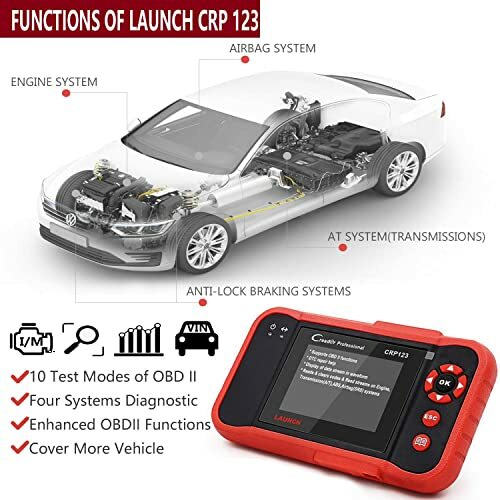 The Launch CRP 123 is equipped for all 10 test modes of OBD reading along with the advanced Test Mode 6 settings. The LAUNCH CRP123 can do full 10 obdii mode of engine systems and test 4 systems. Live data and freeze frame technology will give you a closer look at the exact moment an issue occurred in your engine. If that isn’t enough, this tool can also graph, record and pull permanent and pending information onto full-color graphics. Users can use this data to print data via their PC if they need to share their vehicle reports with an expert. The Launch CRP 123 goes beyond just turning off the Malfunction Indicator Lamp (MIL). It gives you a clear eye into the engine trouble. Even more, if the easy-to-use interface still gives you problems, this device comes with expert help functions to guide you. Along with all these features and functions, the Launch CRP 123 is also updateable via the internet to keep all systems accurate. So, the next question you may be asking is: Does this device work with my vehicle? 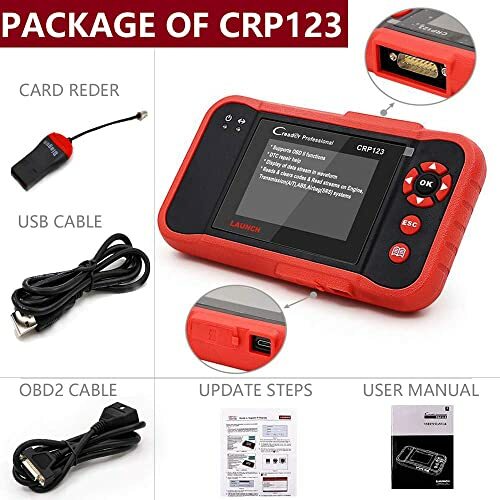 Users of the Launch CRP 123 should expect this device to work with MOST OBD2 compliant devices. However, that does not mean ALL engines, if you want to check 100% compatibility, check with the Launch team using your vehicle VIN number. CRP 123 covers more cars. 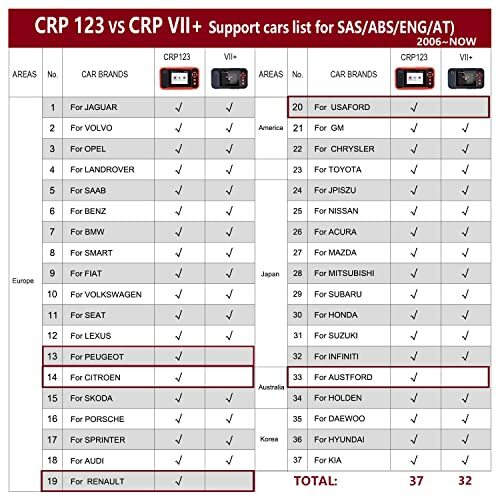 Additionally, users should note that the CRP 123 works with vehicles built after 2006 from the US, Europe, and Asia. If your engine is built before 2006, we recommend looking at previous Launch devices. For example, the Launch mini or V+ automotive scanners. User-Friendly Interface– Even the beginner user should easily be able to handle this compact device. All 10 Test modes supported– You will have coverage for all system tests. Free Lifetime software update– Keep all diagnostics accurate with software support and updates. More Features-This tool goes beyond just the 10 OBD2 test modes, equipped with Mode 6. 2-year warranty– Your purchase is protected for 2 years. Coverage after 2006– All older vehicle engines are not compatible with this device. Not updateable on MAC– Software updates are only available with Windows 7,8 or 10. No matter where you work, this tool can be the addition you need to your garage or workbench. This tool is perfect for the beginner user who is looking for a tool with the basic functions necessary to diagnose vehicle problems. Because this tool does not have all features an expert mechanic may need, we recommend the Launch CRP 123 for beginners or DIY- users. This tool does not come equipped to reset the oil light. Therefore, you may need to look at different devices to fit that need. Finding the automotive scan tool that is right for you and your engine can be a tedious task. More often than not, users buy a product only to discover they are unhappy with the limited functions. That should not be the case for you, our team wants to make OBD2 diagnostic tools well-known for all users. 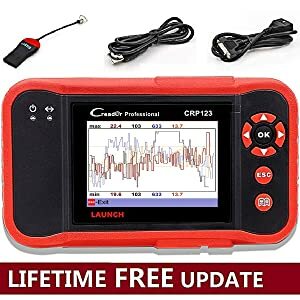 If you are a beginner user, or simply want to discover the problem behind your engine, the Launch CRP 123 can be the perfect tool to start. Moreover, if you are looking for a more advanced tool with additional functions, Launch has a variety of products for the beginner to the professional mechanic.